Process simulation is a method that allows users to model their actual environment in a virtual computer generated space in order to perform detailed optimization, analysis and scheduling. Process simulation generates more detailed and accurate analysis than static technologies that are based on spreadsheets and basic diagrams. Users are able to identify bottlenecks and inefficiencies within their process flow and devise methods and process flow changes in order to improve the operation. What is business process simulation with Simcad Pro? Simcad Pro is a powerful business process simulation software for business process improvement (BPI) such as: process plant operational improvement, logistics and supply chain planning & scheduling, warehouse automation robotic solutions, overall healthcare improvement, and more. Process simulation provide a way to analyze and optimize the process flow. Using process simulation, users can visualize and animate the flow for presentation and demonstration purposes. Perform what-if analysis and risk mitigation by identifying bottlenecks and constraints. Process simulation also provide a way to schedule the operation for improved on-time performance. 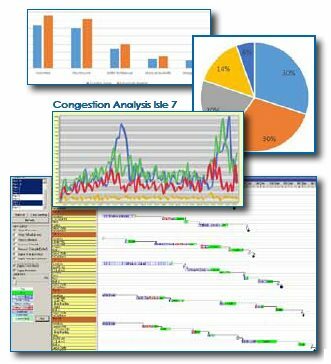 Additional benefits for process simulation include efficiency improvement, lean analysis, and capacity planning. How much does a virtual reality simulator cost? 2D and 3D visualization with interactive VR (Virtual Reality) experience! Simcad Pro supports the Oculus@ VR glasses with animated 3D view of the flow. The new Simcad Pro release allows for model changes to be dynamically applied to the VR world, results and stats from the model update in real-time. 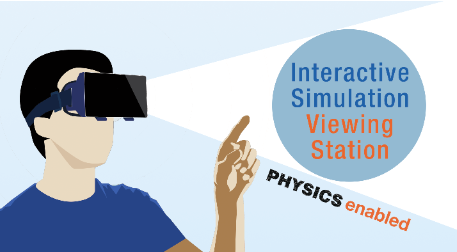 The VR view is dynamically generated based on model progress, with live changes and analysis. Check out the price list for the latest pricing of Simcad Pro simulation software. 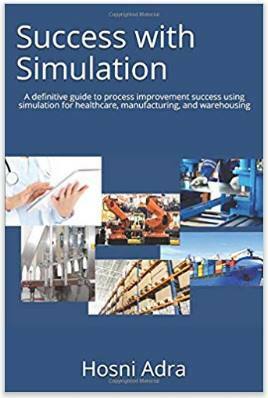 A definitive guide to process improvement success using simulation for healthcare, manufacturing, and warehousing. Order Your Copy from our CreateASoft Store! Enter simcad in the box. Download instructions and licensing information will be emailed to you. Please make sure your email address is valid.